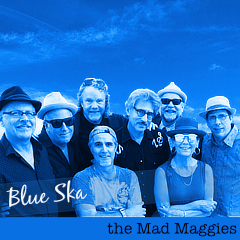 February 6th – Saturday 8:30PM – Speisekammer Restaurant, Alameda. 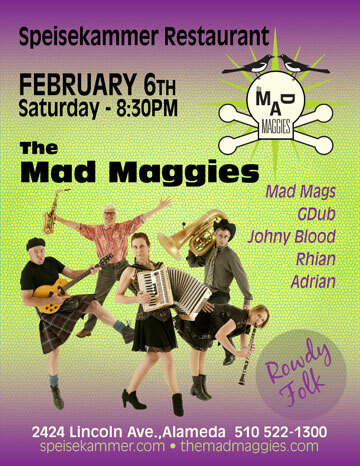 GDub (guitars), Johny Blood (tuba), Rhian (whistles/clarinet), Adrian (alto sax) and yours madly on accordion. Come early and eat — the food is simply stellar at the Speisekammer Restaurant. And their selection of German beer is outstanding! February 13th – Saturday 2:00PM – Down Home Music Store, El Cerrito — an Accordion Babes happening. GDub & I will be playing along with several of the 2010 Accordion Babes. accordion babes, big fun, live music, Speisekammer, the mad maggies.